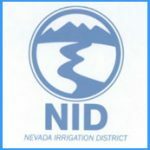 Near downtown Lincoln, the Nevada County-based Nevada Irrigation District (NID) has a “gauging station” that is used to measure the amount of water flowing downstream. During the spring and summer, most of this water is imported from the Yuba, Bear, and American rivers to provide water to farms and ranches west of Lincoln. When it was constructed in 1981, this gauging station was not designed to make it easy for salmon and steelhead to migrate upstream past it to spawn east of Lincoln. That is because at that time, the upstream migration of fish was blocked by some water diversion structures downstream. When some of those problems were resolved around 2010, salmon and steelhead were able to get upstream as far as Lincoln, but very often, they could not get past this gauging station. 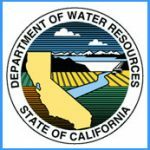 To resolve this problem, NID and Placer County designed a project that would allow fish migration at any flow level past the gauging station. The goal was to bring a more natural condition to Auburn Ravine. The collaborative effort would become known the Auburn Ravine Fish Passage Project. The project drew wide industry and community support. 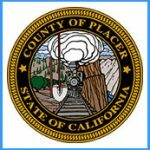 Placer County secured a CALFED grant that would fund part of the project, NID took the role of lead agency, and pledged further funding. 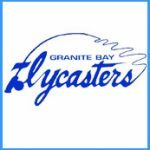 Soon the Dry Creek Conservancy and Granite Bay Flycasters were on board with additional funds. After State and Federal environmental permits were obtained, construction began in the fall of 2011. A nature-like fish-way with a series of riffles and pools was sculpted into the streambed. Concrete walls designed to stem erosion were buried up to 13 feet deep into the streambed. Native plants were added to the newly-reconfigured banks. Surrounding areas were restored to pre-construction conditions. The project received accolades from fishing and environmental advocates. The project made it possible for salmon and steelhead to reach about three miles of good spawning area upstream of Lincoln. Jack Sanchez, president of the community group Save Auburn Ravine Salmon and Steelhead (SARSAS), said he was confident the project would lead to more fish migration. NID contributed in excess of $600,000, CALFED $304,000, Placer County $50,000, Bella Vista Foundation $55,000, and Granite Bay Flycasters $10,000. 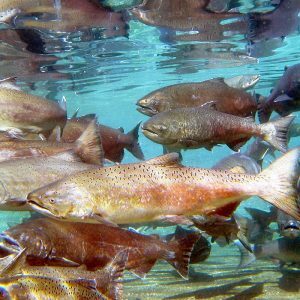 By January 2013, in the first full fall migration season, more than 270 salmon had been counted in the three-mile stretch of Auburn Ravine above the NID fish passage project. The fish in Auburn Ravine include Chinook salmon (Oncorhynchus tshawytscha), steelhead trout (Oncorhynchus mykiss), Sacramento pikeminnow (Ptychocheilus grandis), Sacramento sucker (Catostomus occidentalis), Lamprey (Entosphenus tridentatus) and Speckled Dace (Rhinichthys osculus). Salmon, steelhead and lamprey all use Auburn Ravine for spawning while the remaining fish are year-round residents. 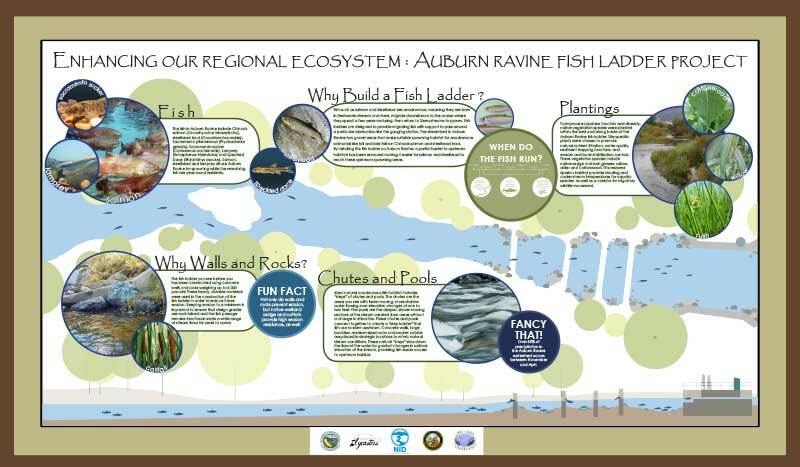 Why Build a Fish Ladder? Fish such as salmon and steelhead are anadromous, meaning they are born in freshwater streams and rivers, migrate downstream to the ocean where they spend a few years maturing, then return to Sierra streams to spawn. Fish ladders are designed to provide migrating fish with support to pass around a particular obstruction like this gauging station. The streambed in Auburn Ravine has gravel areas that make suitable spawning habitat for anadromous salmonids like fall and late fall-run Chinook salmon and steelhead trout. By installing this fish ladder on Auburn Ravine, a partial barrier to upstream habitats has been removed making it easier for salmon and steelhead to reach these upstream spawning areas. 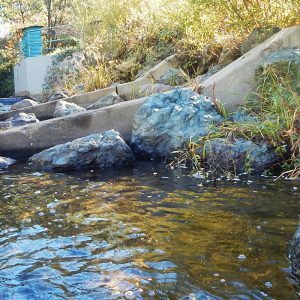 To improve ecosystem function and diversity, native vegetation species were planted within the bed and along banks of the Auburn Ravine fish ladder. Site specific plants were chosen to promote natural nutrient filtration, water quality, sediment trapping functions, and erosion and bank stabilization controls. These vegetation species include native sedge and rush grasses, willow, alder and cottonwood. This restored riparian habitat provides shading and cooler stream temperatures for aquatic species, as well as a corridor for migratory wildlife movement. The fish ladder you see before you has been constructed using concrete walls and rocks weighing up to 8,000 pounds! These heavy, durable materials were used in the construction of the fish ladder in order to reduce future erosion. Keeping erosion to a minimum is important to ensure that design grades are maintained and the fish passage remains functional under a wide range of stream flows for years to come. 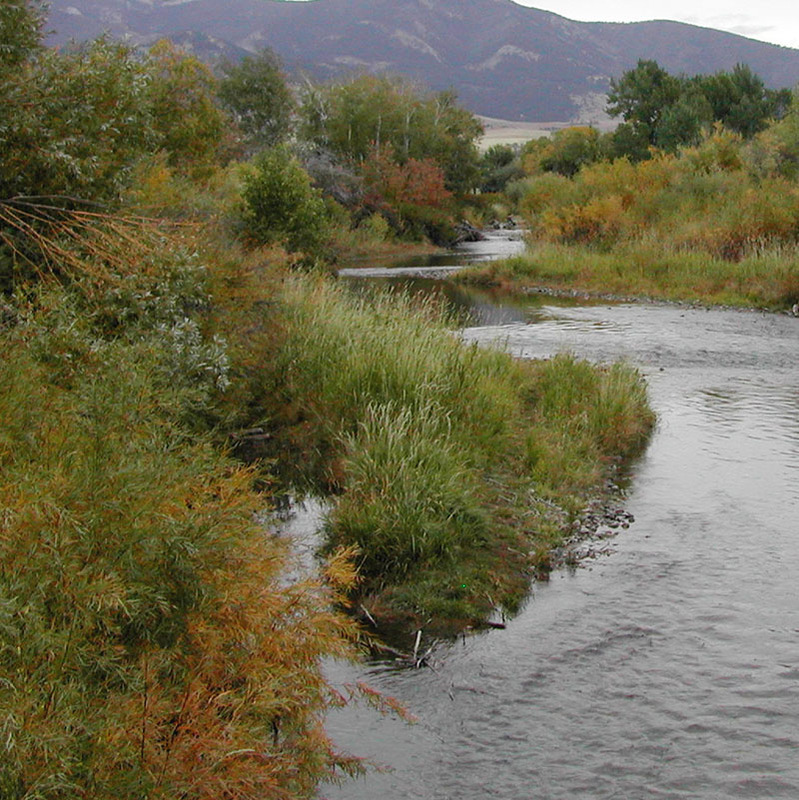 Ideal natural anadromous fish habitat includes “steps” of chutes and pools. The chutes are the areas you see with faster moving, more shallow water flowing over elevation changes of one to two feet. The pools are the deeper, slower moving sections of the stream created from areas without a change in elevation. These chutes and pools connect together to create a “step ladder” that fish use to swim upstream. Concrete walls, large boulders, medium-sized rocks and smaller cobble are placed in strategic locations to mimic natural stream conditions. These natural “steps” slow down the flow of the water by gradual changes in surface elevation of the stream, providing fish easier access to upstream habitat. 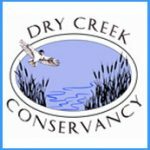 The Auburn Ravine Fish Passage Project was made possible by the tireless work of the organizations listed below.. Learn more about the project HERE.